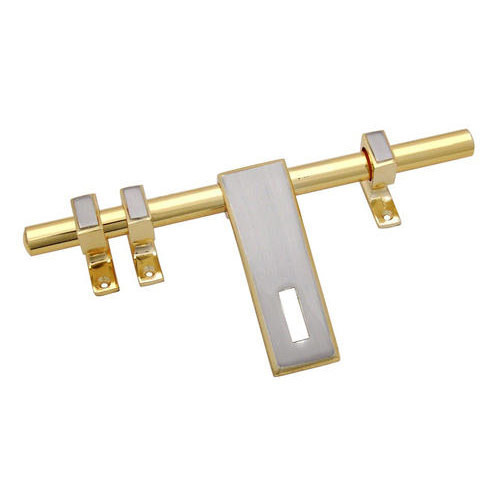 We offer Brass Aldrops which are superior in quality and are highly durable. The offered range is used widely for door bolting purpose in homes and different industrial purposes. These products are highly strong and sturdy in nature and ensure a long lasting life. Moreover, we assure timely delivery of our product. The business journey of Bhandari Hardware began in the year 1996. We stepped in as a sole proprietorship firm and engaged ourselves in manufacturing supplying and exporting a wide range of Door Kits, Door Fittings, Door Hardware, Brass Handles, Pull Handles, Mortise Handles, Metal Handles, Brass Curtain Brackets, Hook Hangers, Metal Locks, Brass Sockets and Master Key Sets. Our manufacturing unit and other infrastructural set up is based in Hyderabad, Andhra Pradesh. We realized the enormous business opportunity the sector had to offer and tapped in at right time to reap the profits. We are offering amazing products to our clients, which ensure enormous happiness by fulfilling their demands in a very proficient manner. Our manufactured products are constructed sturdily to ensure complete reliability. Moreover the entire range is corrosion resistant, attractive owing to fine finish, we give great focus on dimensional accuracy to attain optimum satisfaction.